Custom Printed Balloons are a great cost effective fun way to get your branding in-front of a lot of people at one time. We have exciting balloon colours that can be filled with air or helium and add some ribbon or sticks to the balloons. 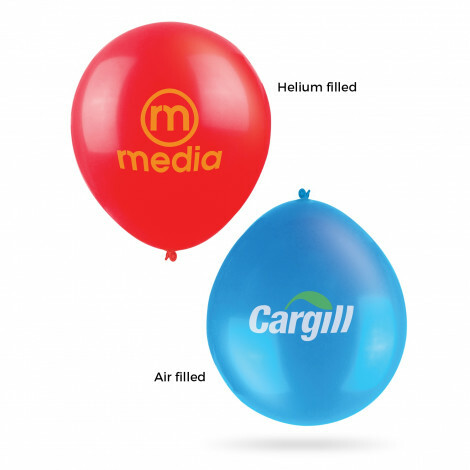 Our cheap branded balloons are high quality that show your logo in a large fun format. So for your next fun promotion add one of our great promotional printed balloons at the cheapest prices from 30cm latex or specialty crystal, metallic, heart shaped and other types of balloons.